Here are a few more photos from Chalon-sur-Saone. The Niepce monument is the marker of the reason I took the trip in the first place – to visit the birthplace of photography. 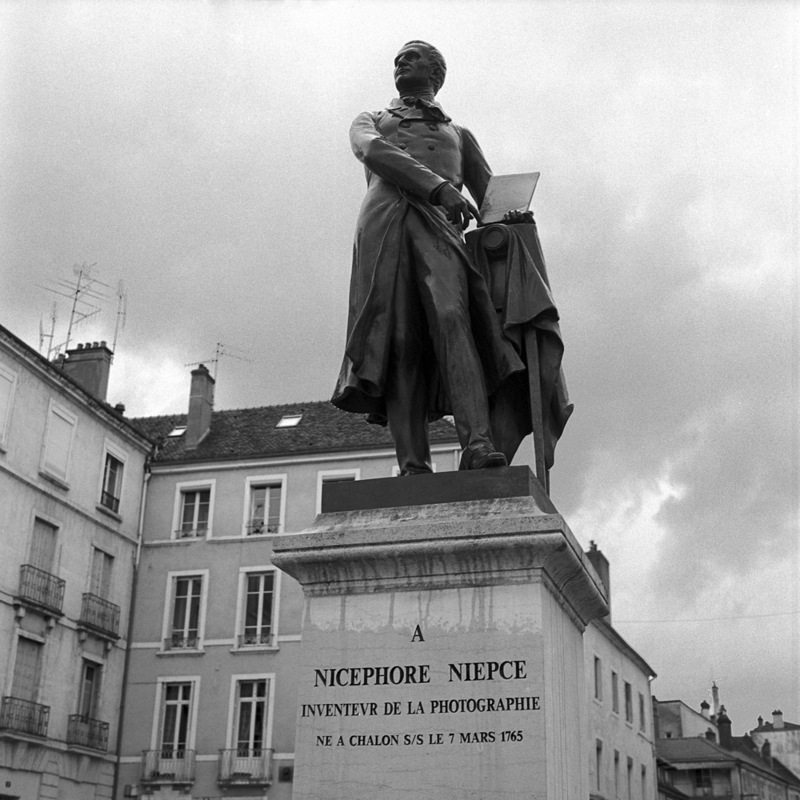 Nicephore Niepce invented the first successful photographic process, Heliography, in the mid 1820s. One reason most people haven’t heard of it and have never seen a photograph made by this process is that due to the extreme insensitivity to light of the chemicals, a single exposure required HOURS to record an image which ruled it out for photographing any non-static subject, like people, animals, or even plants, and it made photographing buildings difficult as well. In the early 1830s up until his death in 1833, he collaborated with Louis Daguerre, the net result of which was the publication of the Daguerreotype process in 1839. This statue of Laocoon, an ancient Greek mythological figure of a priest who warned the Trojans against admitting the wooden horse into the city, and was punished by he and his sons being devoured by sea serpents (for various reasons by various deities, depending on which version of his story you read). He’s also credited with the phrase “beware of Greeks, bearing gifts”. 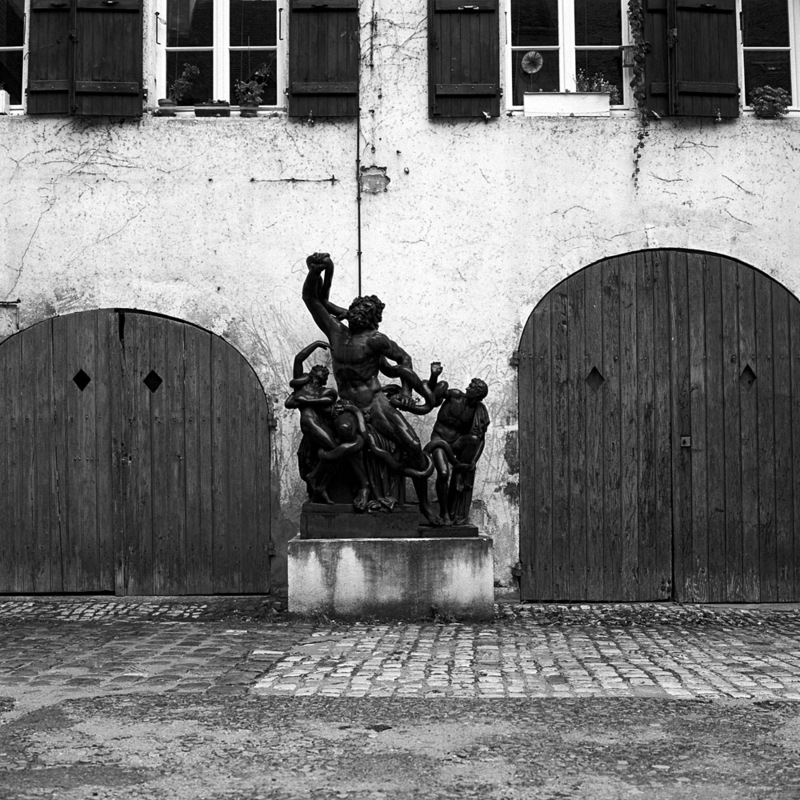 It’s a bit of odd statuary to find in a random courtyard around the corner from the Niepce Museum in Chalon, but there it is. 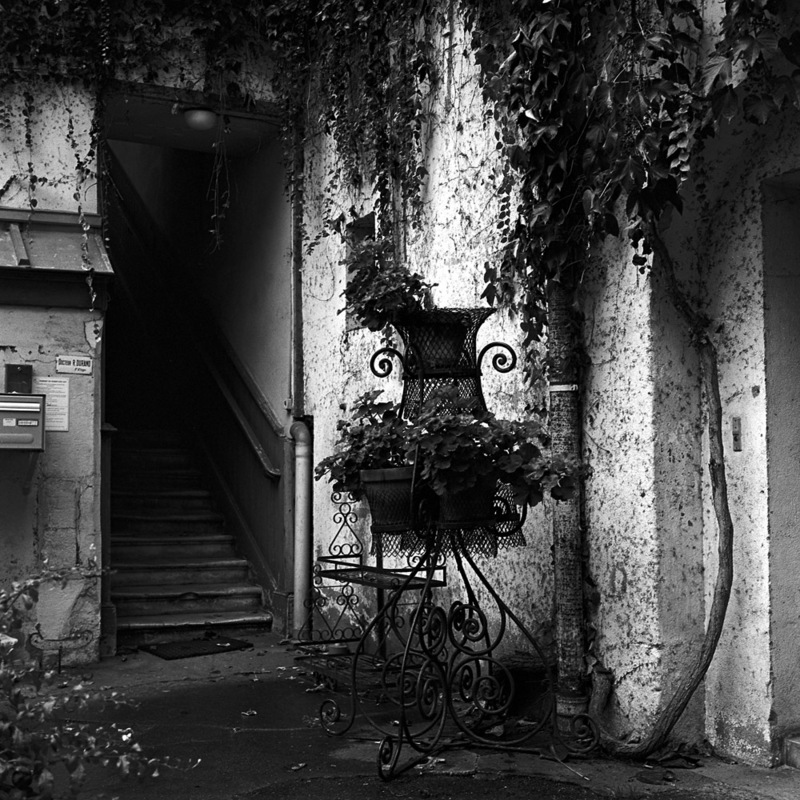 In the same courtyard as the Laocoon statue, there was this iron plant stand in front of the stairs to a second-floor doctor’s office. 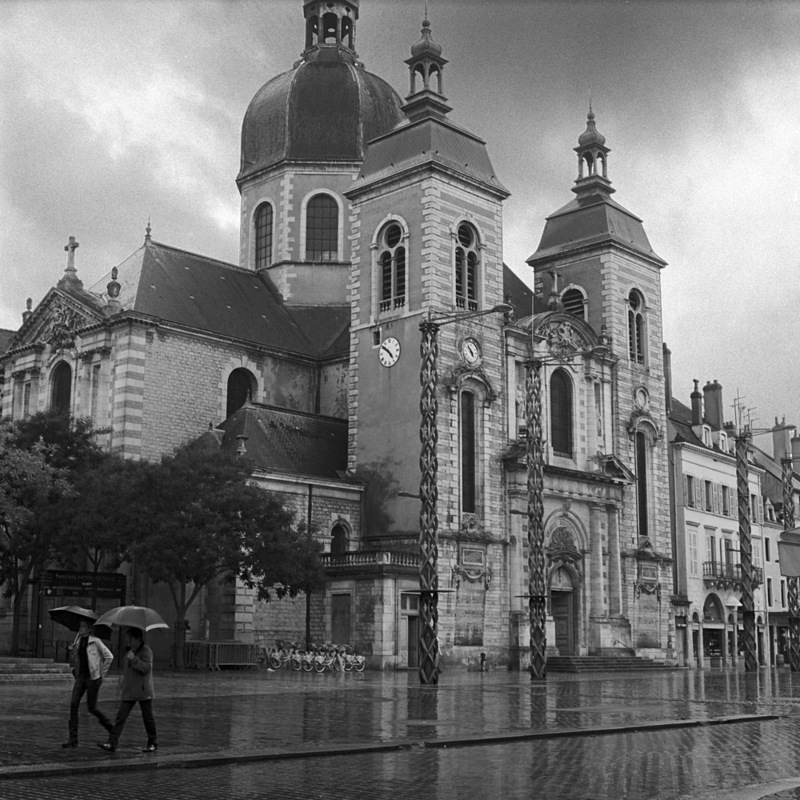 This is the basilica in Chalon. In significant architectural contrast to the old cathedral (which has parts dating back to the 7th century, and abuts the Roman walls of the town), this is clearly a 17th century structure. I peeked inside and the stained glass is very modern, like the lower windows at Notre Dame, but even more drab – greens and yellows and clear glass, and in desperate need of a cleaning from the outside. The light fixtures on the plaza are quite new and part of an effort to reinvigorate the downtown area. If you look carefully at them, at around the 12 foot mark, you’ll see metal disks protruding that serve as anti-climbing devices.